As you are probably aware, both the iPhone 6s and 6s Plus ship with some great new features, such as the iconic 3D Touch, and Live Photos. Then there is the option to set Live Wallpapers which allows users to set dynamic backgrounds on the phone’s Lock Screen, but the stock library of those animated wallpapers is pretty limited. Luckily this can all be changed, and you can treat yourself to some fresh new third-party Live Wallpapers as well. iPhone 6s and iPhone 6s Plus users were generally limited to either using one of the limited stock Live Wallpapers to enhance their experience, or they could fall back to a Live Photo that they had captured themselves. Now however, thanks to a new app on the iOS App Store, it’s possible to view and download new Live Wallpapers and apply them directly onto the device. We’re going to show you how. Step 1: First and foremost, you’re going to need to head on over to the App Store and download the new Live Wallpapers app from the App Store. The app costs $0.99 and requires iOS 9.1 or above to be installed on the device. Step 2: When the app has been installed, launch it like you would with any other app on the iPhone. 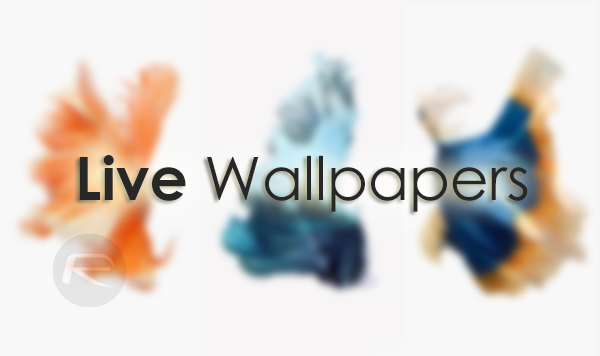 You’ll immediately be presented with the Live Wallpapers that are available. Scroll through them until you find one that you desire. Step 3: When you locate a Live Wallpaper that tickles your fancy, simple select the Save option to import it directly to your Camera Roll on device. Step 4: Now launch the Photos app, and find the Live Wallpaper you had just saved. Step 5: Once you find the wallpaper you were looking for, simply tap the standard share button at the bottom, and select the Use as Wallpaper option. Step 6: Make sure that the Live Photo option is selected in the control at the bottom of the display, and then tap the Set button to set it as a wallpaper. And there you have it, a simple and efficient way of quickly adding new Live Wallpapers to your iPhone 6s or 6s Plus without being limited to the options that ship with iOS. 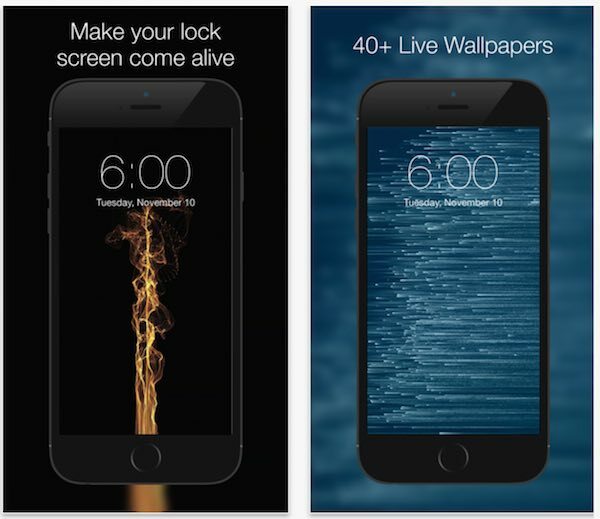 We’re sure in time that additional apps of this nature will start popping up offering more variety and choice, but for now you can enjoy over 40 new Live Wallpapers included in the app discussed above. In iOS 6 there was no need for retarded power-hungry animations like that. iOS 6 was perfect. Only iPhone 5 and below can do that. Doesn’t work in my 6S on 9.2. No animation. Yes I choose Live Photo option when I apply the pic. Worked for me. Didn’t run into any hiccups so can’t tell you what is wrong. Strange. Are you on 9.2 also? Maybe I should try to remove and reinstall the app. One moment you complain that iOS lacks features that android has had forever and next you complain about iOS having features that android has had. Yes of course I know but It doesn’t work. Hey – Nick here (my app is mentioned). Did you get it to work? Make sure Low Power mode is OFF otherwise it won’t work. Thanks for your reply. Reinstall of the app and reboot solved the problem. Now it works. Sorry if I made it look as if your app is buggy. Don’t know what was wrong but it wasn’t the Low Power setting. I never used that the short time I had the 6S. I highly recommend ANDROMEDA – Premium Live Wallpapers! They are unique and very different from all other live wallpapers you have on this list. Would easily make number one. I have them all because they are all great, not some stock photo or video animations.